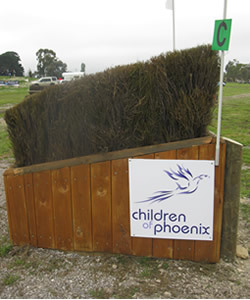 “In May 2011 the annual Friends of Ballarat Horse Trials held in Ballarat made CoP the charity of choice. We were delighted with the committee’s decision and thank them sincerely. 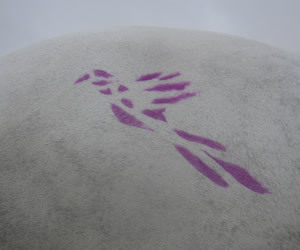 Two of our ‘Friends of Phoenix’ Members, Vicki and Phil Biggs, made a stencil of our phoenix logo that we could use a transfer with water-based ink paint on to the sides of horses. As you can see from the photos it looked terrific and was a terrific day for all concerned. 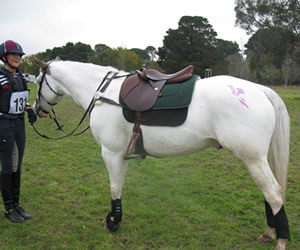 putting the stencil on the competitor’s horse is Phil Biggs, one of our Friends of Phoenix (FoP) members.